We estimate, design, engineer, install, repair, service, maintain, remodel, retrofit, test and inspect all fire sprinkler systems for residential, commercial and industrial buildings and facilities in the Los Angeles area. We also provide quarterly, semi-annual, annual, one (1) year, three (3) year, five (5) year, ten (10) year and twenty (20) year required tests and inspections according to NFPA 25 which helps you comply with State, City and Municipal Fire Codes in Los Angeles. We sale, service, install, repair, recharge, refill, test, inspect, annual tag and offer hydrostatic testing for all fire extinguishers in Los Angeles. We offer monthly, annual, one (1) year, five (5) year, six (6) year and twelve (12) year required tests and inspections according to NFPA 10 which helps you comply with State, City and Municipal Fire Codes in Los Angeles. 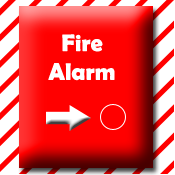 We estimate, design, install, repair, service, maintain, remodel, retrofit, test, inspect, and offer fire alarm monitoring for all fire alarm systems for residential, commercial and industrial buildings and facilities for the Los Angeles area. We also provide quarterly, semi-annual, annual, one (1) year, five (5) year, six (6) year and twelve (12) year required tests and inspections according to NFPA 72 which helps you comply with State, City and Municipal Fire Codes in Los Angeles. We estimate, design, engineer, install, repair, service, maintain, remodel, retrofit, test and inspect all fire suppression systems for residential, commercial and industrial buildings and facilities for the Los Angeles area. We also provide quarterly, semi-annual, annual, one (1) year, five (5) year, six (6) year and twelve (12) year required tests and inspections according to NFPA 12 & 17 which helps you comply with State, City and Municipal Fire Codes in Los Angeles. We estimate, design, engineer, install, repair, service, maintain, remodel, retrofit, test and inspect all fire hydrants for residential, commercial and industrial buildings and facilities for the Los Angeles area. We also provide quarterly, semi-annual, annual, one (1) year, three (3) year, five (5) year, ten (10) year and twenty (20) year required tests and inspections according to NFPA 13 & 291 which helps you comply with State, City and Municipal Fire Codes in Los Angeles. We also provide quarterly, semi-annual, annual, one (1) year, three (3) year, five (5) year, ten (10) year and twenty (20) year required tests and inspections according to NFPA 13R, 14, 20 & 25 which helps you comply with State, City and Municipal Fire Codes in Los Angeles. 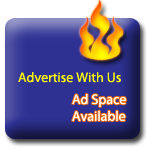 In Los Angeles our fire protection company leads over all others. 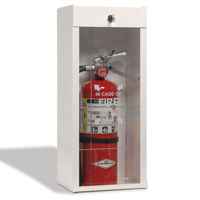 We carry the largest inventory of portable, fixed & wheeled unit fire extinguishers, offer Class A, B, C, D & K, multi-class, multi-purpose. Wet, Dry Chemical and ABC all purpose fire extinguishers. 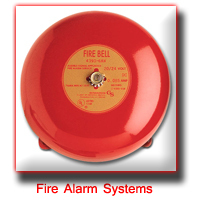 Our fire extinguisher store sales fire extinguishers, offers replacement parts, services, repairs and maintains portable, fixed and wheeled unit fire extinguishers. The best fire extinguisher company in Los Angeles. Our fire extinguisher technicians are fully trained and capable of performing all required service, maintenance, tests, inspections, refills, recharging, hydrostatic testing, performing all visual inspections and mechanical inspections, conducting annual tests, annual inspections and issuing annual fire extinguisher tags per NFPA 10 standards and codes, Federal, OSHA, State and Los Angeles Health and Fire Codes. 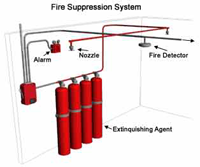 In Los Angeles our fire protection company has fire alarm technicians fully trained and capable of performing estimates, bids, quotes, designs, installs, service, repairs, maintenance, tests, inspections, troubleshooting, retrofitting, remodeling and all tests and inspections that may be required by Federal, State, OSHA, Insurance Company & NFPA 72 standards and codes.